in business and in life. After all, if water stands still too long, it becomes stagnant. Hello, I’m Carolyn M. Brooks with Navigating Change. My coaching services are a navigational tool to help you discover new routes to happiness, both in your career and in your personal satisfaction (including your home). Together, you and I will discover your Portfolio Life, one that is balanced and fulfilling. We will begin by recognizing the importance of each aspect of your life and work, and help you to take ownership of your attributes. You will hone the skills of resiliency, borrowing from the past to positively impact today and tomorrow. The value of this journey is immeasurable. It is exciting, exhilarating and, yes, challenging. The first step is a small one. I invite you to contact me and let’s discuss your journey that lies ahead. I reached out to Carolyn Brooks to help me decide on a career move. I was wrestling with two equally exciting “get-back-to-work-after-being- home-with-kids” career opportunities. Before engaging Carolyn, I thought of the opportunities as not only wildly different but also as diametrically opposed. By working with Carolyn for 3-months, I was able to chose between these opportunities but not see them as so different: such a relief! Carolyn helped me clarify my short and long term career goals, refine my work-life expectations and approach, and articulate my needs and wants to family and friends in a way that made me feel confident about my career choices. I highly recommend Carolyn to help anyone navigate change: she is an excellent listener, extremely intuitive, and empathetic. Are you ready to let Navigating Change help you explore new worlds of possibilities? 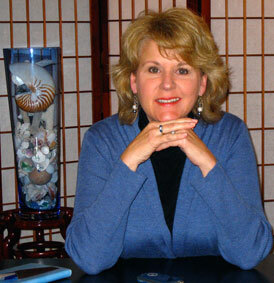 Schedule your complimentary 30-minute goal-oriented session with Carolyn.